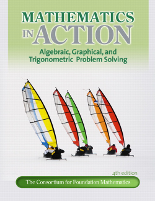 In the Mathematics in Action series, students discover mathematical concepts through activities and applications that demonstrate how math applies to their everyday lives. 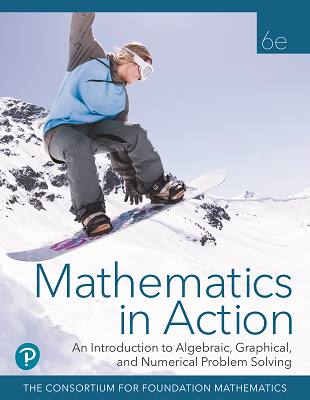 Different from most math books, this series teaches through activities–encouraging students to learn by constructing, reflecting on, and applying the mathematical concepts. 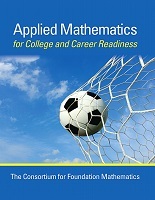 The user-friendly approach instills confidence in even the most reticent math students and shows them how to interpret data algebraically, numerically, symbolically, and graphically. 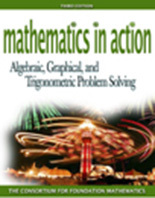 The active style develops mathematical literacy and critical thinking skills. 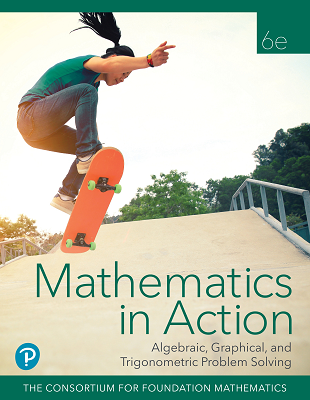 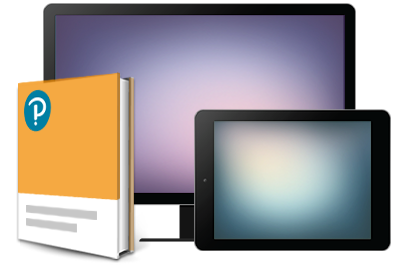 Updated examples, brand-new exercises, and a clearer presentation make the Sixth Edition of this text more relevant than ever to today’s students.